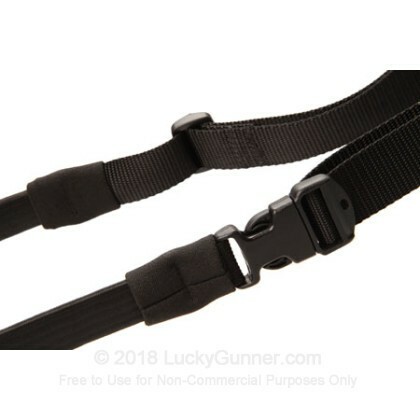 This one point rifle sling from Blackhawk provides good weapon retention while enabling agile handling. The 1.25" wide nylon webbing is strong but flexible, and the metal and polymer hardware enables quick and easy attachment and removal. 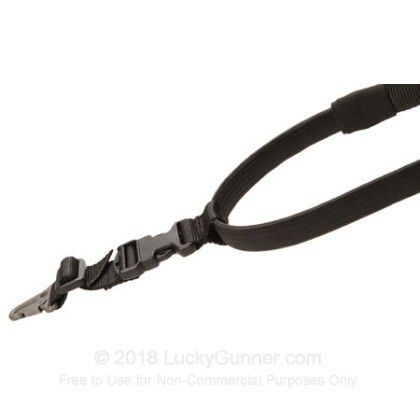 The heavy duty buckle adjusts quickly to fit the operator's weapon and frame. 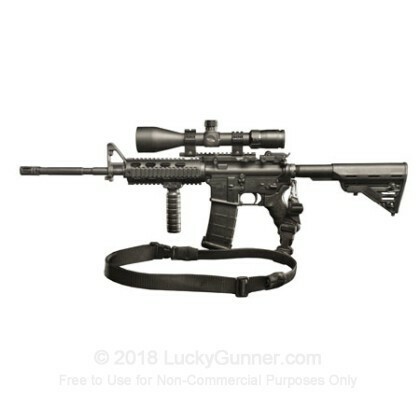 Great for rifles designed for CQB situations.